Growing up, my mom would leave a Precious Moments figurine in our room on every birthday that had our age on it. We collected these figures and had them all lined up on our shelves. I think they stopped doing the ages at 16 (or was it 18)? Either way, I loved this tradition and looked forward to receiving my figurine every birthday. 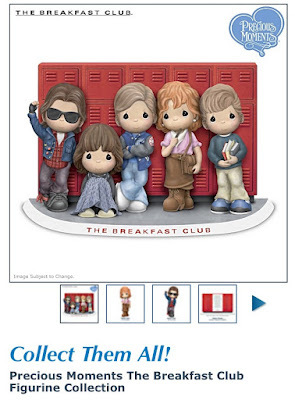 Coincidentally, Precious Moments just came out with a line of figurines that are based on The Breakfast Club (!!!). I'm DYING! 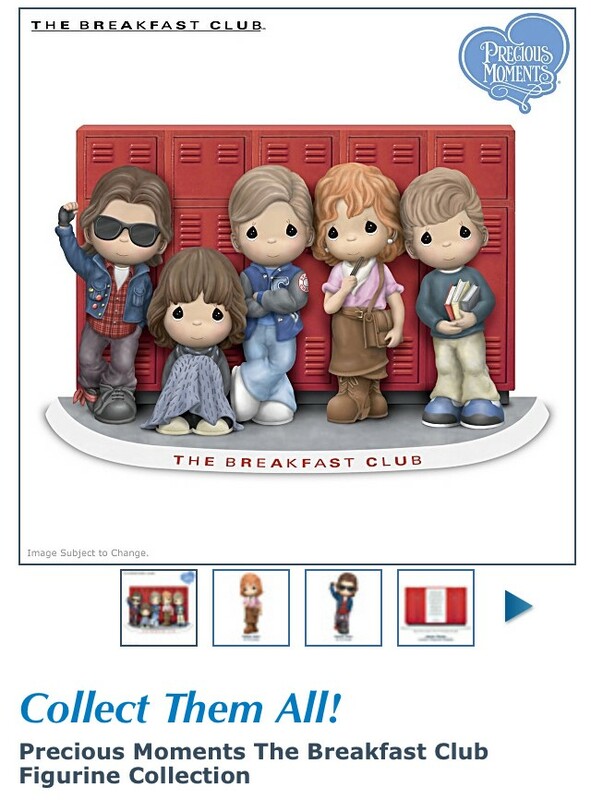 You can even buy the locker. I LOVE them! How nice of them to time that with my upcoming birthday. LOL.